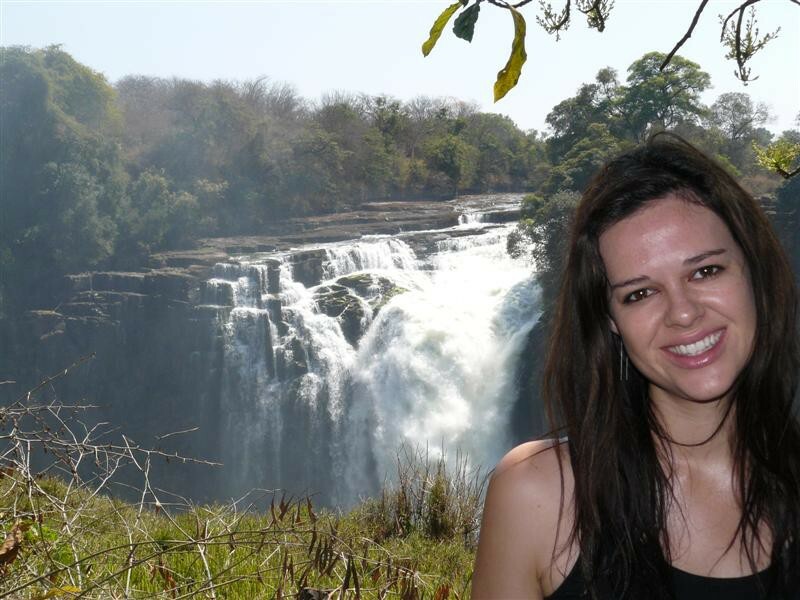 My birthday gift was a trip to Victoria Falls for three days. We left Friday morning and flew into Zimbabwe. We stayed in lovely bush cabins at the beautiful Victoria Falls Safari Lodge. We took a relaxing cruise along the mighty Zambizi River and watched the wildlife as we floated by. What a highlight to be such a part of nature and see elephants swim. Sean began to make a speech. At first quite casual but soon we all realized the symbolism he spoke about had far more meaning when he got down on one knee and in front of all of us he proposed to Natalie. She was so shocked that we thought she might jump overboard so when she belted out yes we were all so relieved and happy that there was not a dry eye in sight. My hands were even shaking it was so nerve wracking! I caught the whole thing on tape and have cried every time I’ve watched it, it was SO special. To celebrate we all went to dinner at the Victoria Falls Safari Lodge. It had a deck from where you could see half of Africa. We had a very special dinner while drinking champagne and watching animals saunter down to the nearby watering hole. Our last day we awoke and raced off to the local market place to do some shopping before flying home. The troubles we all knew the country faced seemed so far away as no tourists were affected in any way by the Zimbabwean realities. We were all looked after perfectly and only noticed an economic problem when we realized there were so few tourists on the Zimbabwean side of the falls compared to the Zambian side. The Kingdom, which is a major casino was completely empty, as was the market place. The people were all unbelievably friendly and I’d defiantly go back in a heartbeat again. What an awesome treat.